hit the town in 2008! GEP pal James Felix McKenney pens a moving dedication to his friend and longtime collaborator Angus Scrimm for indiewire. My first conversation with Angus was in early 2003 when I offered him a role in our film, “The Off Season.” The part was that of an eccentric chain-smoking neighbor. He called me to tell me how much he enjoyed the script, but that he had to turn down the part because he had lost so many friends to smoking-related illnesses. When I told him that I’d happily make the character a non-smoker, he was astonished. “You would do that? For me?” he said. I told him that I would do just about anything to cast him in the role. “Well then, how can I refuse?” he responded. Read on for the whole, wonderful piece. Attention NYC Fans! Glenn McQuaid’s I SELL THE DEAD screens Friday 11/6/15 and Saturday 11/7/15 at midnight at the IFC Center in NYC. 18th-century justice has finally caught up with grave robbers Arthur Blake (Dominic Monaghan) and Willie Grimes (Larry Fessenden). 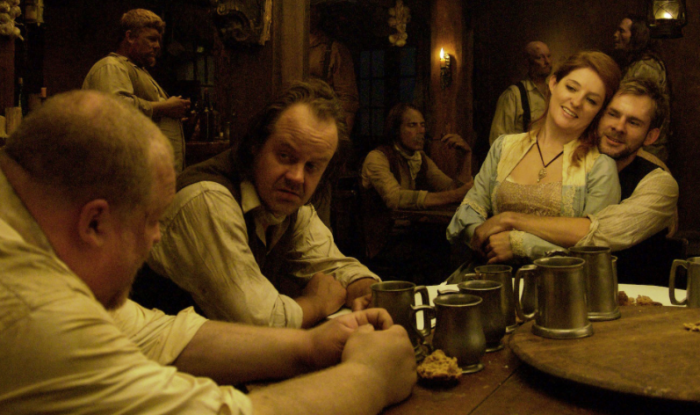 With the specter of the guillotine looming over him, young Blake confesses to a priest, Father Duffy (Ron Perlman), about his fifteen years of adventure in the resurrection trade; from his humble beginnings as a young boy stealing trinkets from corpses, to his partnership with seasoned ghoul Willie Grimes hunting creatures unwilling to accept their place in the ground. The colorful and peculiar history of Grimes and Blake is one filled with adventure, horror, and vicious professional competition that ends where it begins — the grave. For tickets and more info, head over to IFC. I SELL THE DEAD Coming To Vinyl! Glass Eye Pix is teaming up with Deep Focus Records again to bring I SELL THE DEAD to vinyl! We’re super excited to announce a second collaboration with Glass Eye Pix! Deep Focus Records will be releasing a vinyl pressing for Jeff Grace’s fantastic score to I Sell The Dead, starring Dominic Monaghan, Ron Perlman, Larry Fessenden and Angus Scrimm. 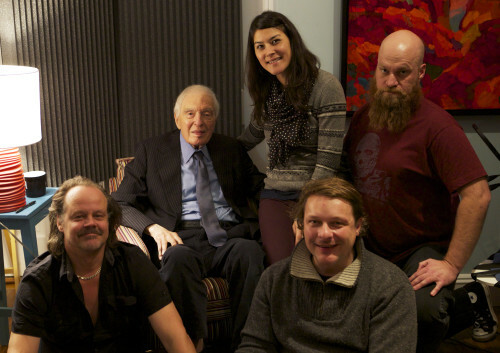 We’re also delighted and honored that Angus Scrimm will be contributing exclusive liner notes for the vinyl release. As many fans know, Angus was a Grammy Award-winning author of liner notes well before he became an icon of horror. 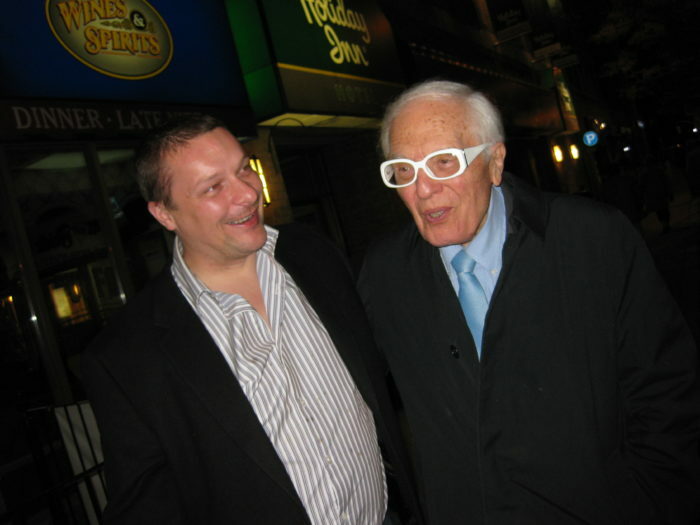 Under the pen name of Rory Guy, Angus wrote for Capitol Records for decades, penning liner notes for the likes of The Beatles, Frank Sinatra and Nat King Cole. 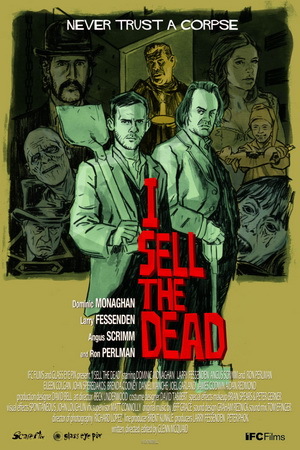 Upon its release, I Sell The Dead (written and directed by Glenn McQuaid) received a warm reception from horror fans and critics alike. In fact, Jeff Grace’s score was also nominated for Best Score in the 2011 Fangoria Chainsaw Awards. Check out the full release on DeepFocusRecords.com. GEP’s first collaboration with Deep Focus Records, TALES FROM BEYOND THE PALE on vinyl, is currently available at DeepFocusRecords.com. Angus Scrimm (Phantasm, I Sell the Dead) and Mizuo Peck (Night at the Museum) star! Stay tuned for more news on Season 3! 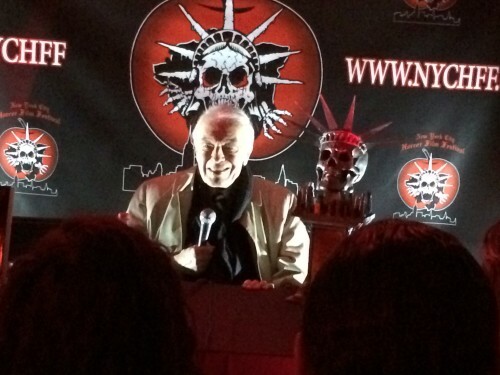 On Friday night, the great Angus Scrimm was honored with a Lifetime Achievement Award, and saluted by Fessenden and James Felix McKenney, at the 13th edition of the New York City Horror Film Festival, taking place at Tribeca Cinemas. Glass Eye Pal Angus Scrimm delighted the crowds at a recent Phantasm Fete with renditions of songs he composed for James McKenney’s THE OFF SEASON, the first of the GEP Scareflix series that would also feature Scrimm in AUTOMATONS and I SELL THE DEAD (and later SATAN HATES YOU). Already an internet sensation when it was posted 8 years ago, “Prairie Dogs” tells the woesome tale of a man who finds solace in the little desert critters. Check out GEP collaborator Graham Reznick’s “The Trick Is The Treat,” the newest short in Shock Till You Drop’s “Halloween Night” series.